When you are searching for a new three-row luxury SUV, you will be met with a few exciting choices. It can be challenging to determine which model is the right fit for your needs, but it is not impossible. Today we’re going to help by comparing two of your options, the 2017 Mercedes-Benz GLS 450 and the 2017 Audi Q7. These vehicles might fall under the same model category, but they have many differences to discover. The first major difference between these two vehicles is their power and performance capabilities. The 2017 Mercedes-Benz GLS 450 comes with a 3.0-liter V6 engine that helps provide up to 362 horsepower. The Audi Q7 has a 2.0-liter I-4 engine that is only able to offer up to 252 horsepower. This is a significant difference in power that is worth considering. Another difference between these two vehicles is their available space. Even though they both have seating for up to seven, they offer very different amounts of cargo space. 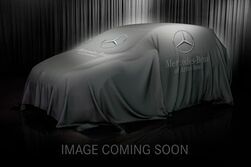 The Mercedes-Benz GLS has 16.0 cubic feet of interior cargo space, while the Audi Q7 only has 14.8 cubic feet. This might seem like a small difference, but it could be the deciding factor if a piece of cargo will be able to fit. 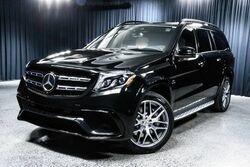 If you are interested in learning more about the Mercedes-Benz GLS call or visit us here at Mercedes-Benz of Arrowhead. We will be able to answer any further questions you might have. We can even help you schedule a test drive here in the Phoenix area.